Almost imperceptibly, the grasses and wild herbs green up. 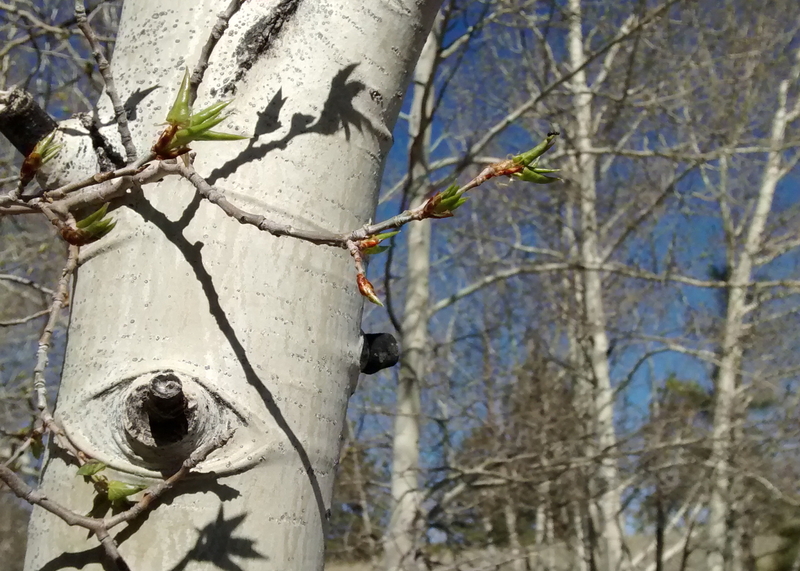 When there is enough sunshine and warmth, the aspen tree buds begin to open. In a few days what started so slowly, explodes into a riot of bright yellow green leaves. 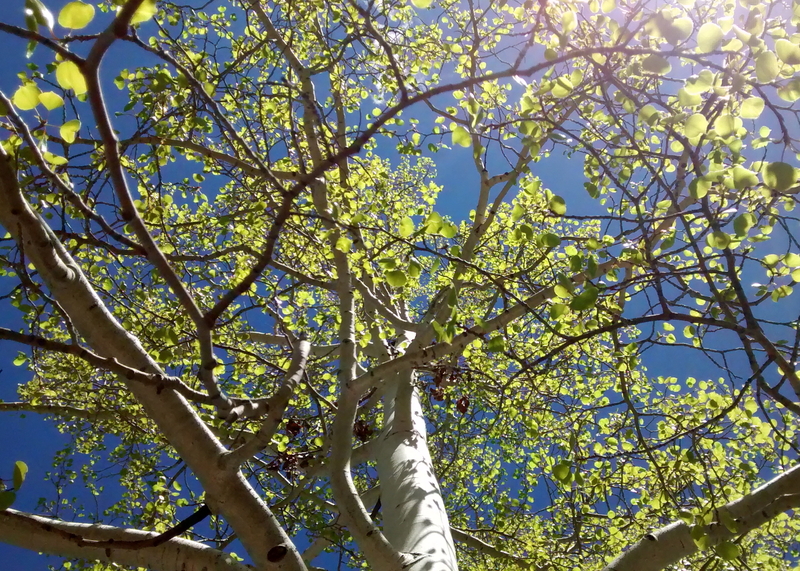 The color is spectacular viewed against brilliant Colorado blue skies. This year, the display inspired me to use the colors I saw in the spring landscape in my natural stone jewelry designs. Not exactly to paint the scene, but as an underlying influence in my newest creations. I chose serpentine, green garnet, kyanite, denim lapis, lapis lazuli, turquoise, and sodalite combine to create an impression of the vibrant spring colors. I've made a few jewelry pieces based on this palette. Check my shop for new spring color-inspired items. Along with its color inspirations, spring has motivated me to re-start my blog. I hope you've enjoyed this first post. Follow along to see what's new in the studio, learn about my inspirations and fascinations, and meet new artisans and their work. If my posts inspire you in any way, I'd love to read your comments. Submitted by Barbara Swinton on Sat, 05/13/2017 - 7:32pm. From one lover of Spring to another - those who live in northern climates really anticipate and relish Spring when it arrives. Even though we're only at 460 ft, our winters are long, gray and snowy. When that first robin appears on a frosty morning, the spirits lift and the mind awaits the first hint of green. Love how you've tied nature's renewal in with your new Spring pieces - they are lovely! 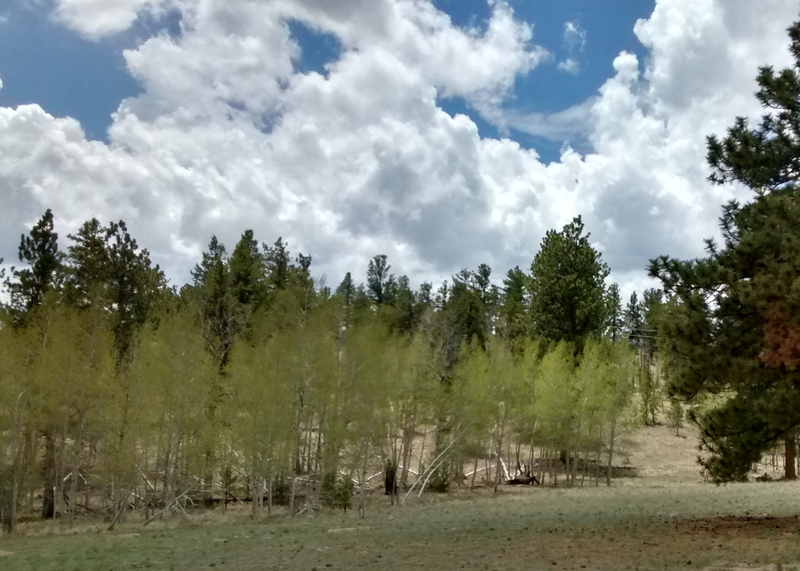 When you sell your Spring Breeze earrings, wouldn't it be fun to send along the pic of those aspens! Submitted by Anonymous on Sun, 05/14/2017 - 12:14pm. Thank you Barbara, for your comment. I love the idea of a print of the inspiration going along with the earrings. I've lived in beautiful places, all northern, with each having their unique springtime signature. I've just put out the hummingbird feeders! Submitted by best essay writing service on Mon, 01/01/2018 - 10:08pm. Excellent post. Styling your blog the right way is key. This information is impressive. I am inspired with your post writing style & how continuously you describe this topic. After reading your post, thanks for taking the time to discuss this, I feel happy about and I am eager to learn more about this topic.